After having coached only three games in his debut season, Houston head coach Major Applewhite faces his first major test of his coaching career. Will Houston stay with a stiff Kyle Allen under center or go with Kyle Postma in its first Athletic American Conference game against Temple? “Every job is open,” Applewhite said after the Red Raiders handed the Cougars a 27-24 loss at home and snapped Houston’s nation-best 16-game home streak. 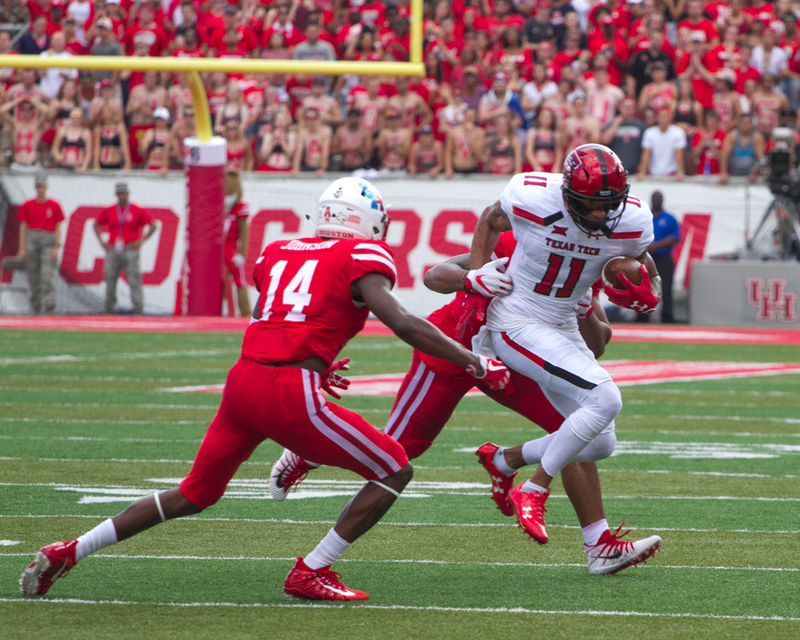 The Cougars’ offense looked out of tune and out of sync, giving the Red Raiders an opening to capitalize and force four turnovers against their former Southwest Conference mate. Down 17 points against the Red Raiders, Applewhite switched Allen– who threw two interceptions and a fumble- for Postma halfway through the fourth quarter. In the last five minutes of the game, Postma led the Cougars to a pair of touchdown drives, going 8 of 13 for 100 yards. Allen, however, has not had the best statline since starting his career with the Cougars. In three games, Allen has committed six turnovers– four interceptions and two fumbles, completing one touchdown with 24-of-39 passing for 217 yards. During the first drive against Texas Tech, Allen’s second throw was intercepted by Dakota Allen to set up a 32-yard field goal by Michael Ewton. His second interception came at a crucial moment. On third-and-eight, and a chance to take their first lead of the game, Allen was flushed out of the pocket, rolled right and threw across the middle where Jordyn Brooks picked off the pass inside the 10-yard line. Not all was gloom and doom for the Cougars, however. Houston had the opportunity to capitalize on various missed opportunities by Texas Tech who missed two field goals, dropped a touchdown pass and massed a total amount of 15 penalty calls against them. The major component that kept the Cougars in the game was the defense maintaining the Red Raiders’ offense. Unfortunately, with the offense not being able to stay on the field long, the defense crumbled right after allowing Texas Tech to score on big plays: a 77-yard touchdown catch by Keke Coutee and 84-yard run by Justin Stockton. Unfortunately, the Cougars don’t have long to feel disgruntled about the loss with a road game against Temple next Saturday. The loss, not only, snapped a 16-game winning streak at home (last home loss was against Tulane [31-24] on Nov. 8, 2014), but it, also, snapped a streak of seven straight wins against teams from Power Five conferences. Graduated from the University of Houston with a BA in Journalism. I'm a sports writer & photographer that covers from professional to collegiate sports. My end goal is for one day to work at a newspaper or magazine (Washington Post, LA Times, Sports Illustrated), travel and continue to do what I enjoy; talk & write about sports.